Mumbai, the entertainment capital and India’s financial powerhouse, is a very popular tourist destination in Maharashtra. It is rapidly being witnessed as the growing tourist attraction alluring national as well as international travellers. The summer heat in Mumbai often reaches extreme levels pushing people retreat to the pleasant hill resorts. Pune is a place gifted with beautiful getaways and amazing hill stations. Sandwiched between the Western Ghats in the south and the Sahyadri range of mountains towards the north, the city is located in a perfect place for travelers. Trawell.in presents the top 10 summer getaways near Mumbai & Pune which can be visited as a 2-day trip from the city. 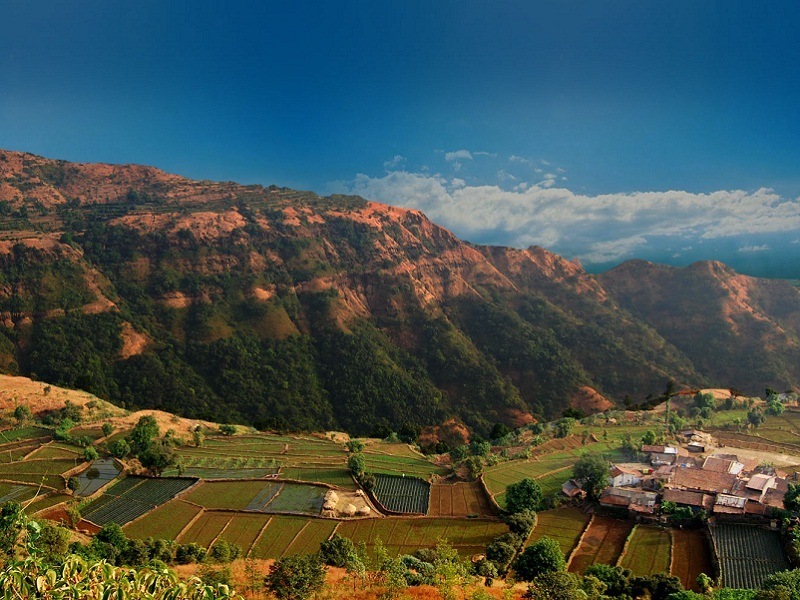 Mahabaleshwar is a popular hill station in Satara district of Maharashtra. Situated at an altitude of 1,353 m in the Western Ghats range, Mahabaleshwar is one of the top monsoon destinations in India and also one of the best hill stations in India. This is the source of the Krishna River that flows across Maharashtra, Karnataka, Telangana and Andhra Pradesh. This pretty hill station is often referred as the queen of hill stations in Maharashtra and also one of the best hill resorts near Pune not to miss in your honeymoon tour. Mahabaleshwar attracts large number of tourists for its lovely views, beautiful landscapes and pleasant temperatures. There are many tourist attractions in Mahabaleshwar like forts, temples, and lakes. Pratapgad Fort, Venna Lake, Mahabaleshwar Temple, Krishnabai Temple, Lingamala Falls, Tapola, Panchgani are among the must include places in your Mahabaleshwar tour packages. There are several viewpoints that are strategically located to capture the panoramic views created by the majestic Sahyadri Mountains and deep valleys. Arthur’s Seat, Wilson Point, Kate’s Point & Elephant head Point, Connaught Peak and Bombay Point are popular viewpoints. Mahabaleshwar is famous for cultivation of strawberries and mulberries. Situated at an altitude of 800 m in the Western Ghats range, Matheran is one of the popular hill stations in Maharashtra and also one of the top places to visit near Mumbai & Pune in summer. 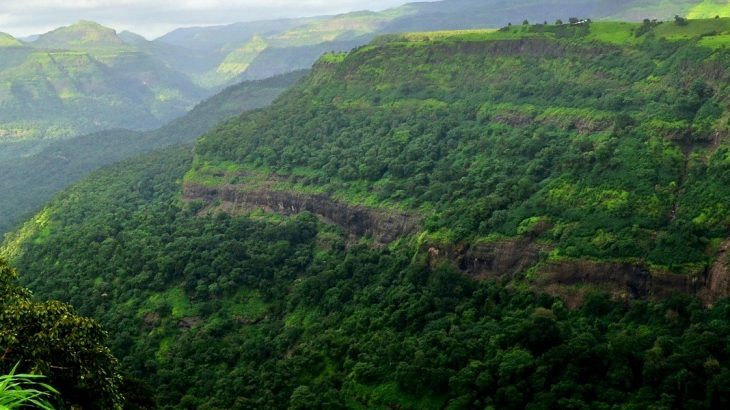 Matheran, which means ‘forest on the forehead’, is an eco-sensitive region declared by the Ministry of Environment and Forest, Government of India. It is Asia’s only automobile-free hill station. No private automobiles are allowed into Matheran town. Tourists to Matheran have to drive up to Dasturi Point (2.5 Km) and reach Matheran by foot or pony. The Matheran hill railway, also known as Matheran Light Railway (MLR), is being considered for UNESCO World Heritage Site status. Matheran is famous for its 38 viewpoints, which provide panoramic view of the peaks of Western Ghats. Porcupine Point, Panorama Point, Echo Point, Charlotte Lake, One Tree Hill Point, King George Point, Louisa Point, Rambaug Point, Heart Point are among the must include places in your Matheran tour packages. 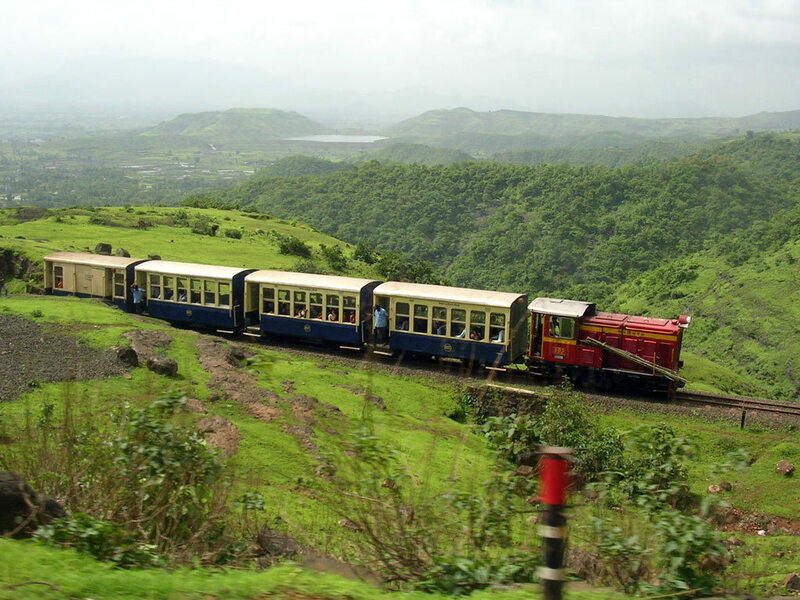 Matheran also offers activities such as trekking, hiking, climbing, etc. Prabalgad, Irshalgad and Garbett Point are the popular trekking places in & around Matheran. The ride on the toy train which connects Neral to Matheran used to be quite famous but the service has now been discontinued temporarily. 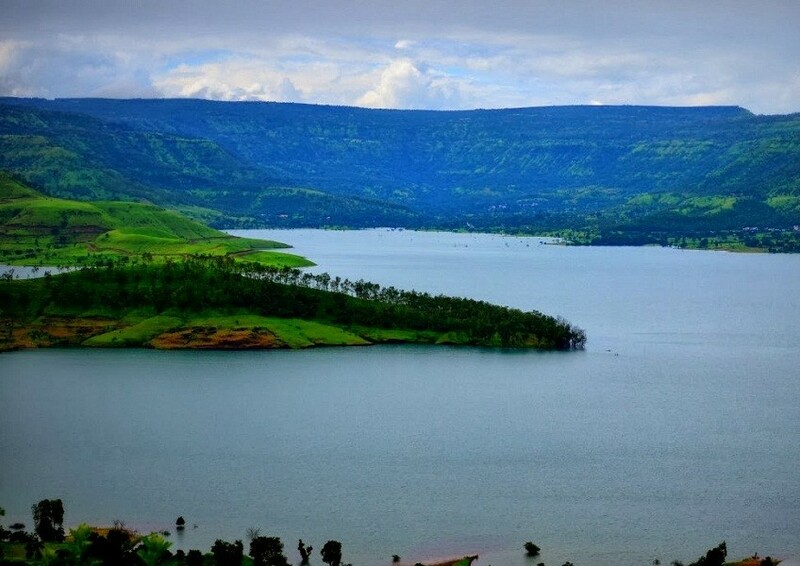 Panchgani also called Paachgani is a famous hill station and a municipal council in Satara district of Maharashtra. It is one of the top hill resorts in Maharashtra and among the best hill stations near Mumbai & Pune cities. Nestled at middle of five hills in the Sahyadri mountain ranges, Panchgani was discovered by the British as a summer resort in 1860s. John Chesson, a British superintendent, was responsible for the transformation of Panchgani into a summer resort. Panchgani has several beautiful tourist attractions. Table Land, Parsi Point, Kamalgadh Fort, Devil’s Kitchen, Rajpuri Caves, Sydney Point, Mapro Gardens, Dhom dam etc. 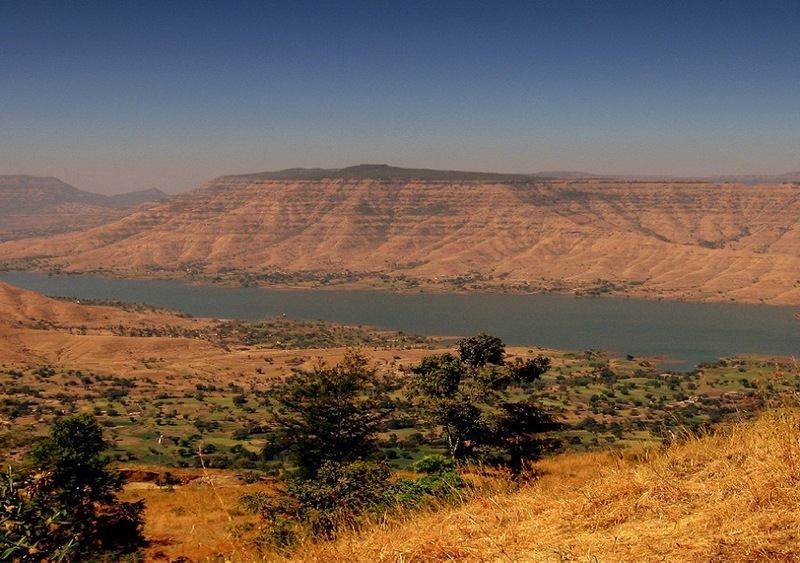 are some of the major sightseeing options in Panchgani. Panchgani is dotted with British style old bungalows and Parsi houses. It is also known for many residential educational institutions and a favored destination for health resorts. Lonavala is a beautiful hill station in Pune district of Maharashtra. It lies at an altitude of 622 m in the Sahyadri Ranges which separate the Deccan Plateau and the Konkan Coast. 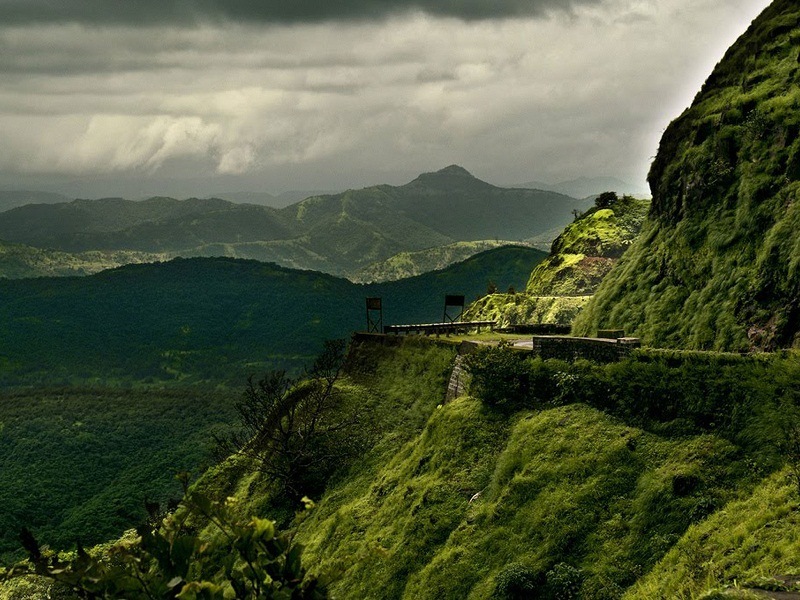 Lonavala is among the top monsoon places to visit in India and also one of the famous hill stations near Pune & Mumbai. The name of the city is derived from the Sanskrit word ‘Lonavali’, which refers to a ‘group of caves’. The name was given to the place due to the presence of many caves in and around the city. Lord Elphinstone, then the Governor of the Bombay Presidency, developed Lonavala along with Khandala in 1871. Lonavala has several tourist places in the form of caves, lakes, forts and waterfalls. Lohagad Fort, Rajmachi Point, Karla Caves, Valvan Dam, Lonavala Lake, Tiger’s Leap, Bhaja Caves, Rajmachi Fort, Bhushi Dam, Korigad Fort, Kune Waterfalls, Tikona Fort, Visapur Fort, Bedsa Caves and Tung Fort are are some of the best places to include in Lonavala packages. Located in the Western Ghats, Malshej Ghat is a picturesque hill spot in Pune district of Maharashtra. The spot is known for its mountain passes that transverse through the Western Ghats and marvelous views of the valley, the magnificent Malshej Hills and picturesque waterfalls. Situated at an altitude of 700 m, Malshej Ghat is one of the top weekend getaways near Pune & Mumbai and also one of the prime places to experience Maharashtra Tourism in summer. The hill station of Malshej Ghat is managed by the Maharashtra Tourism Development Corporation. The dark forests of Malshej are the prime attraction for the nature lovers as they house a huge variety of flora and fauna. The forest houses animals like the Bengal Tiger, Leopard, rabbits etc. Malshej Ghat is a popular trekking destination, which is at its best during the summer and monsoon season. Plenty of hidden waterfalls and flamingos are the major attractions of the place. Shivneri Fort, Junnar Caves, Bird Graveyard, Pimpalgaon Joga Dam and Malshej Falls are few of the most popular tourist attractions that can be visited here. Malshej Ghat also offers opportunities for adventure sports like hiking and bird watching. Bhandardara is a beautiful hill station and a holiday resort located in Ahmednagar district of Maharashtra. The place is known for its natural beauty and its soothing environment. 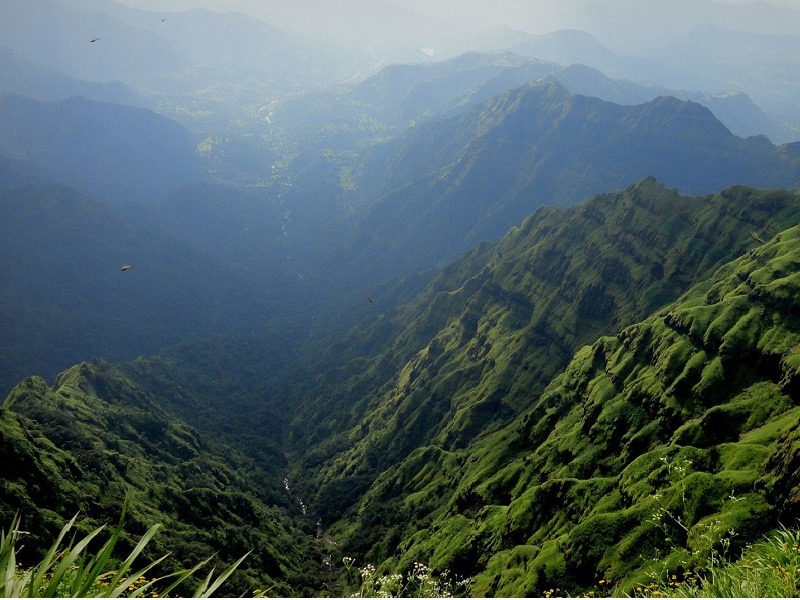 It is one of the less known hill stations in Maharashtra and also one of the beautiful hill resorts near Mumbai. This is also one of the popular places to visit for a weekend trip near Mumbai. Bhandardara is situated at an altitude of 750 m on the banks of river Pravara. This tiny hill station is a blend of natural beauty, waterfalls, mountains, tranquility, greenery, refreshing air and pristine ambiance. It is an excellent place for trekkers and a popular stopover for tourists travelling to Nashik and Shirdi. It attracts a lot of tourists every year because of its eco-tourism opportunities. Important places to visit in Bhandardara are Arthur Lake, Randha Waterfalls, Umbrella Falls, and Amruteshwar Temple. 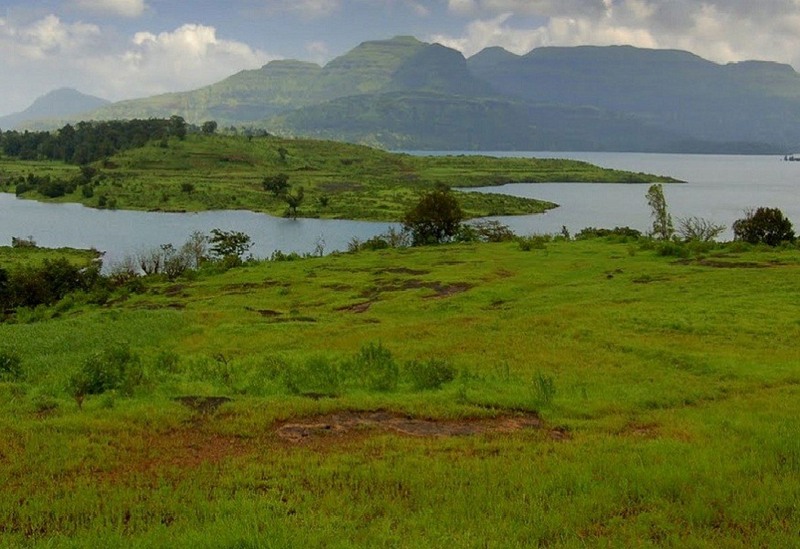 Bhandardara provides plenty of opportunity for small treks and hikes for adventure lovers. Mount Kalsubai (1646 m), the highest peak in Maharashtra, is a favorite trekking place near Bhandardara. Satara is a town and district headquarters of Satara district in Maharashtra. It is one of the famous places to visit in India. With several tourist places to visit nearby, Satara is an ideal place to visit for a two day trip from Pune. The name of this town has been derived from the seven mountains surrounding the place implying Sat (seven) and Tara (hills). The district of Satara is lined with amazing temples and forts. The Ajinkyatara Fort is the major historical fort in Satara and was built by Raja Bhoj. About 3,000 feet high, the fort was once an important line of defense in southern Maharashtra. The Vasota Fort, Sajjangad Fort and Kalyangad are the other popular forts in Satara. The Kaas Pathar, Thosegarh Falls, Pateshwar Mandir, Vajrai Falls and Nataraj Mandir are some important places to visit in & around Satara. Alibaug or Alibag is a coastal town and a municipal council in Raigad district of Maharashtra. 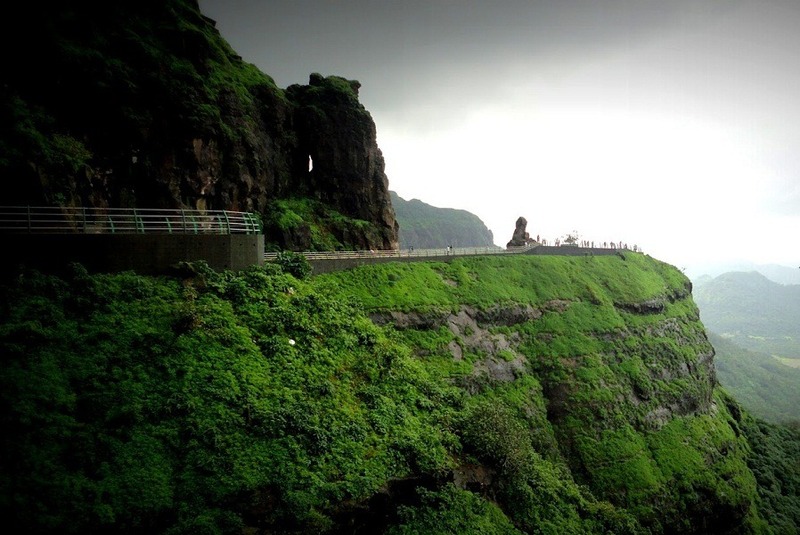 It is the headquarters of the Raigad district and also one of the popular weekend getaways from Mumbai. Alibag is surrounded by sea on three sides, it is very commonly known as the ‘Goa’ of Maharashtra. 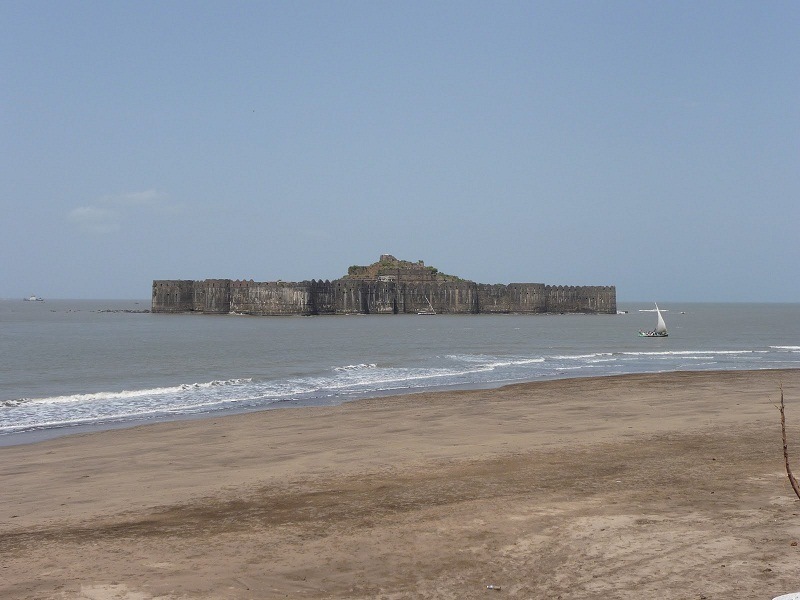 Earlier, Alibaug was known as Kolaba, attributed to the Kolaba Fort which was built by Shivaji in 1680 CE. Alibaug is one of the top beaches near Mumbai and also one of the most visited beaches in India. Located in the Konkan region of Maharashtra, Alibaug is well known for its beautiful beaches and ancient forts. Among the various Alibaug tourist places, Alibaug Beach, Kihim Beach, Akshi Beach, Mandwa Beach, Kashid Beach, Varsoli Beach, Nagaon Beach and Murud Beach are the popular beaches in Alibaug. Visitors can also visit Khanderi Fort, Kolaba Fort, Murud -Janjira Fort, and Korlai Fort. Located in the Western Ghats, Lavasa is a popular hill resort in Pune district of Maharashtra. Claimed to be India’s first planned hill station, Lavasa is modeled on the Italian town of Portofino. Lavasa has extremely well developed infrastructure with beautiful residential and commercial spaces, public amenities and markets. Situated at an altitude of 640 m, Lavasa is a popular spot for the motorcyclists across India due to its mountain passes. The mountains in this region are covered in dense vegetation and coupled with a pleasant weather makes this place one of the perfect one day trip from Pune. It is located behind the Dam of Varasgaon and is situated on the banks of Baji Pasalkar. 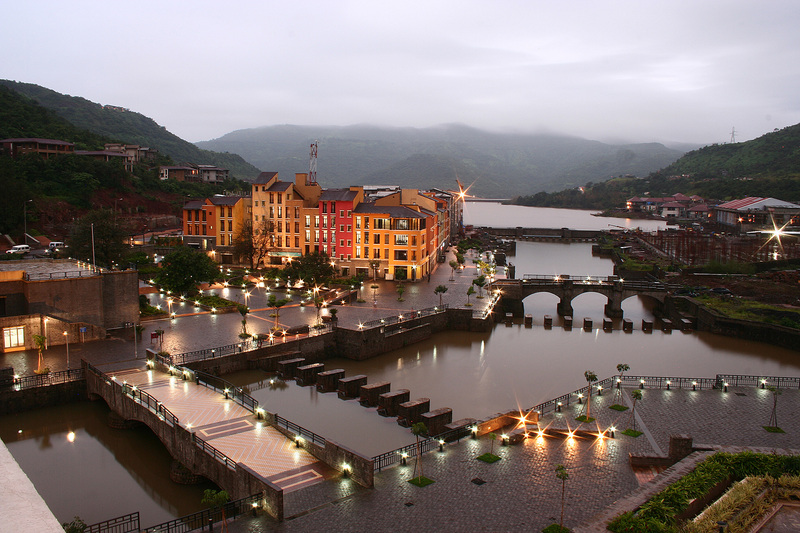 Lavasa is popular because of the mountains and valleys that surround the region. It is because of the location of this place, people find opportunities for adventurous activities like mountain climbing, hiking and trekking. The popular attractions here include the Lakeshore, which offers opportunities of adventure sports like boating against the strong currents of the lake, cruises and jet skiing. Chikhaldara is a popular hill station in Amravati district of Maharashtra. This hilly area was discovered in 1823 CE by Captain Robinson of the Hyderabad Regiment. Chikhaldara is the only hill resort in the Vidarbha region and also the only coffee growing region in Maharashtra. Situated at an altitude of 1,188 m, Chikhaldara is one of the best summer getaways near Pune & Mumbai and also one of the best Maharashtra Tourist Places for natural lovers. Being the only coffee growing area in the state, Chikhaldara also boasts of beautiful lakes, breath taking panoramic viewpoints and exotic wildlife. There are several valleys in the region that feature dense forests with long trees. Chikhaldara is famous for the Melghat Tiger Project, Hurricane Point, Devi Point, Prospect Point, Dhakana-Kolkaz National Park and the Semadoh Lake. The Melghat Tiger Project has 82 tigers1 and also houses other animals like panthers, sloth bears, sambar, wild bear, and wild dogs. All, Getaways Hill Resorts near Pune, Hill Stations in Maharashtra, Maharashtra Hill Resorts, Maharashtra Hill Stations, Places to Visit near Mumbai & Pune in Summer, Summer Getaways near Mumbai, Summer Getaways near Pune, Summer Places to Visit near Mumbai & Pune. permalink.